KICK OFF YOUR YEAR WITH THE PPA SPORTIVE SERIES! 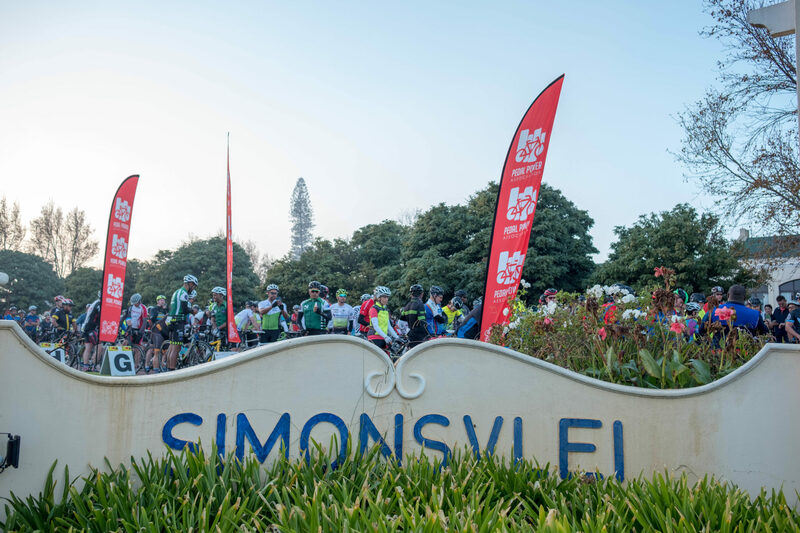 Sportive #1 is the perfect start to your cycling plans for 2019 and will be held at the Simonsvlei wine estate on 27 January. Join us for this fun ride aimed at all cyclists, from beginners to experienced riders who want to keep fit riding road events throughout the year. 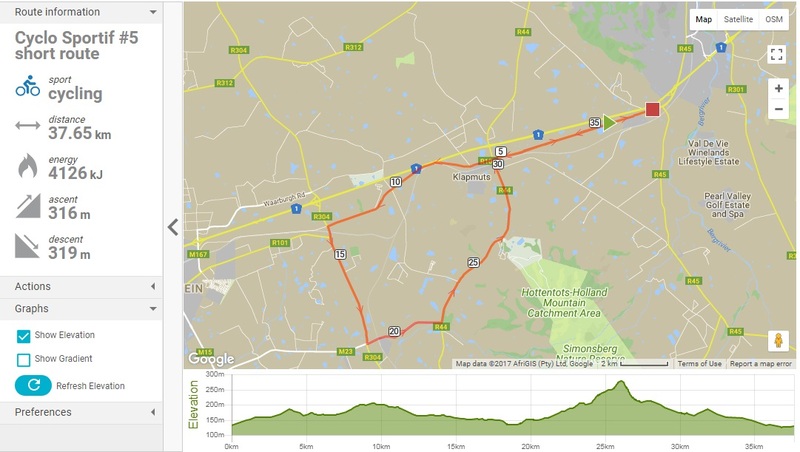 This ride at Simonsvlei kicks off an eight-event series that is the perfect platform for improving your time and setting a new personal best. The series promises to be a great test for endurance and stamina for anyone brave enough to take on the challenge of the longer routes and, while completing all eight events will be a great source of personal achievement, each one is also a standalone event, so you’re not required to enter all events in the Sportive Series. 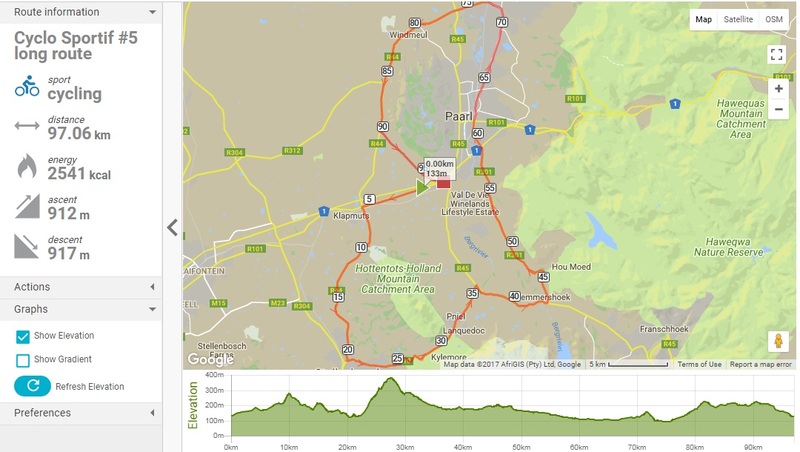 There are two routes in the first event – a 97km or 38km – and the longer version will provide you with a decent challenge in 912 m of climbing. There may be a complaint or two from the legs up the climbs, but the picturesque route will definitely keep your mind entertained! After the start Simonsvlei, you’ll head towards Stellenbosch and over Helshoogte, before pedalling past the Wemmershoek dam and through the back of Paarl towards Wellington. The return is via the R44 and finishes shortly after the Suid-Agterpaarl road on the R101. Online: go to org.za/events and you’ll see 2019 PPA SPORTIVE #1 top of the list. Click the “enter” tab! Entries will close on Thursday, 24 January at midday. Late entries will be taken at the PPA Office in Kenilworth on Friday, 25 January 2019 between 08h00-16h00 at the original entry fee. All entries on the morning of the event will be charged the late entry fee. And… you’ll get a rather special finisher’s trophy! This year, we have decided to do away with medals and do something much more innovative and challenging. 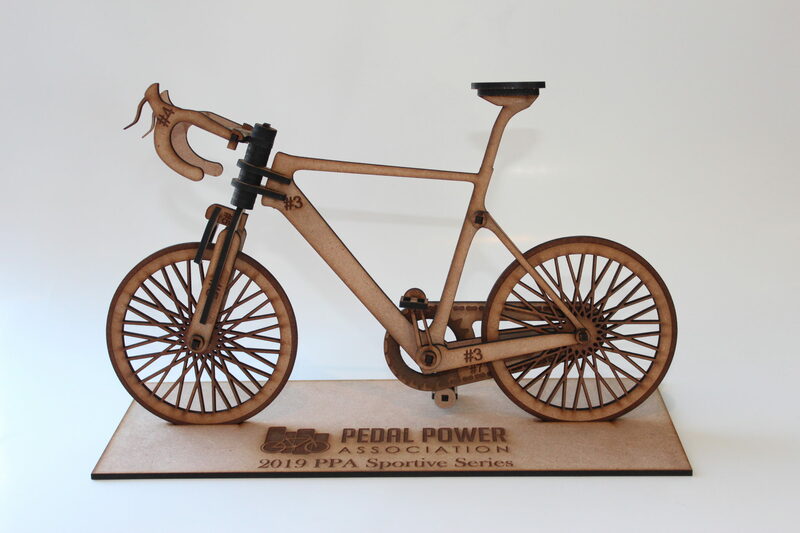 Your eventual prize will be a cool 3D bicycle puzzle and after finishing each event, you’ll get a few pieces of the trophy … complete all eight events and you can assemble this beautiful little road bike on a stand. But don’t worry if you don’t manage to do all the events – you will be able to buy the missing pieces at a very reasonable cost. We still want you to have that trophy to display at your home or office!